Starting January 1st, 2019, the subsidies will be phased out semi-annually. By December 31st, 2020, the subsidies will completely end for local phone service. Ottawa-based consumer advocacy group, the Public Interest Advocacy Centre (PIAC), is speaking out against the Canadian Radio-Television Telecommunications Commission’s (CRTC) recent refusal to hold a public inquiry into claims of aggressive and misleading sales practices by a number of the country’s leading telecoms. While the CRTC says there is no need for this inquiry, PIAC says the decision ultimately hurts Canadian consumers. One Rogers employee admitted to not telling elderly customers about added fees and to sneaking extra products or services on their bills. Employees weren’t the only ones to come forward; CBC says over 300 customers have reached out as well. A woman in Oshawa, Ontario complained that Bell was charging her in-laws for internet service without their knowledge or express consent. So why, PIAC wants to know, did the CRTC refuse to hold an inquiry? Should the CRTC Get Out of Telecom? Federal Conservative Party leadership candidate Maxime Bernier thinks the Canadian Radio-television Telecommunications Commission (CRTC) should be cut out of the telecom business. He said the agency has a “control freak mindset” which impedes investment and sustainable competition. Bernier is known as a long-time advocate for telecom deregulation. How would deregulation even begin? Bernier believes the federal Department of Innovation, Science, and Economic Development could take over the CRTC’s more necessary telecom functions, such as 911 and the do-not-call list. He suggested reversing policies that allow preferential set-asides of airwave spectrum. He would also scrap last year’s decision to force major telecom providers to sell space on their high-speed networks to smaller rivals. “Forcing some providers to share their networks will not do anything to increase investments, and ultimately won’t do anything to sustainably bring better and less expensive services to consumers,” said Bernier. While Bernier may not be completely right, he is not completely wrong either. Canada has some of the most expensive service prices, and companies like Bell and Rogers have a large monopoly on the telecom market. So does the CRTC need to be phased out or just reformed? 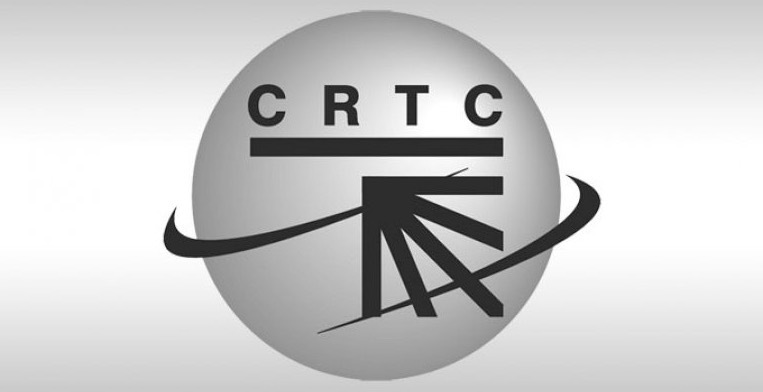 Canadian consumers with television service complaints will soon be able to turn to the Commission for Complaints for Telecommunication Services (CCTS) for help. 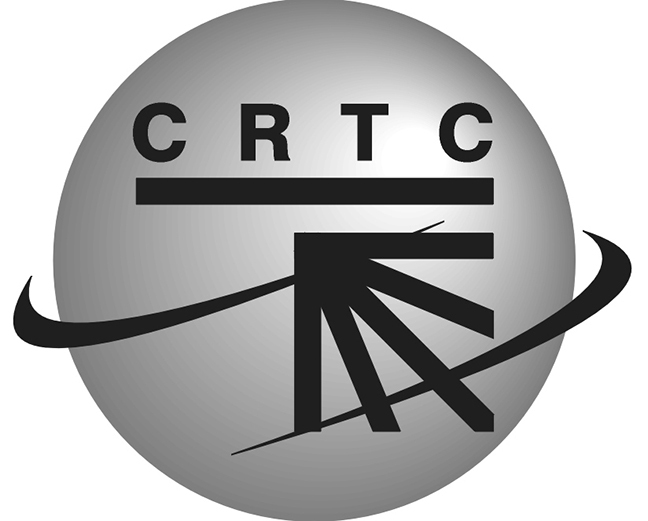 The Canadian Radio-television and Telecommunications Commission (CRTC) announced last week that television service providers would have until Sept. 1, 2017 to become members of the CCTS. This means the CCTS is now the single point of contact for complaints about all major services, including television, Internet, wireless and landline telephone. Consumers concerned with things such as billing and service delivery are asked to first contact their provider for attempted resolution before filing to the CCTS. Read the full press release on the CRTC website. A recent Canadian Radio-television Commission (CRTC) ruling likely means high cellphone bills are here to stay in Canada. Last week, the CRTC ruled against a coalition of small ISPs interested in offering steeply discounted wireless services. The ISPs – known as the Canadian Network Operators Consortium – hoped to rent the networks of the big Canadian telcos, allowing them to offer alternative, inexpensive services. However, the CRTC says such a move wouldn’t be fair to the companies that have invested in their own networks, such as Bell, Rogers and Telus. One thing is clear: it’s unlikely Canadians will benefit from a wave of new competition in the wireless industry anytime soon. According to a Bank of America Merrill Lynch Report, Canadians pay some of the highest rates in the developed world, an average of $46 US per month. It’s not a coincidence Canadian carriers are also making some of the biggest profits in the world. Rogers is the latest company to be nailed for violating Canada’s anti-spam legislation (CASL) for issues surrounding its email unsubscribe mechanism. According to the Canadian Radio-television and Telecommunications Commission (CRTC), emails sent by Rogers during a one-year period starting July 2014 – the same month CASL came into effect – had a faulty unsubscribe mechanism. The CRTC also said that Rogers failed to unsubscribe recipients from commercial emails within 10 days of receiving notice. All in all, the violations have set Rogers back $200,000 in a voluntary undertaking to resolve the offences. Efforts include improvements to an existing internal program to ensure compliance with CASL, which is probably a good thing since it doesn’t seem it was doing a very effective job from the start. “Companies must respect the choices of Canadians who do not wish to receive commercial emails, and must make it easy for them to unsubscribe from their mailing lists,” said Manon Bombardier, CRTC chief compliance and enforcement officer, in the press release. “We are satisfied that Rogers Media Inc. made the necessary changes to comply with Canada’s anti-spam law. And it appears Canadians have been doing just that. Since 2014, $400,000 in undertakings and $1.1 million in fines have been collected for violations of the legislation. Stepping up in its fight against unwanted and spoofed calls, the CRTC recently published a thorough summary of options Canadians have to protect themselves from the nuisance communications. The list, which outlines the method of blocking and filtering calls by provider, was compiled from information provided to the CRTC direct from the telecom companies. It is the first step on the CRTC’s quest to discover “new and innovative solutions” to combat unsolicited telemarketing and spoofed calls. Now the agency is asking any interested parties to review the summary of options and submit comments by Dec. 4. The CRTC estimates up to 40 percent of unwanted marketing calls come from spoofed numbers. Here at Schooley Mitchell complaints are nothing new. We hear them about poor telecom services and vendors all the time! One of the most annoying things that continues to plague families is receiving unsolicited telemarketing calls. They always seem to come at the most inopportune time, like when you are sitting down to dinner or have your hands full. In Canada, two home improvement companies are facing hefty fines for doing just that – calling residents who had registered their phone numbers on the national Do Not Call List (DNCL). The rules state that once someone signs up on the list, all unsolicited communications must cease, except for calls from a few groups including charities, political parties, and businesses you’ve worked with within the last 18 months. However, Canadian Choice Home Improvements Inc. and Le Groupe Hydro Hvac Inc. ignored all of that, resulting in $170,000 in fines. According to the Canadian Radio-television and Telecommunications Commission (CRTC), neither company registered or subscribed to the DNCL. Both called residential numbers on the list, and Le Groupe Hydro Hvac also called existing customers who had registered on its own internal do not call list. Canadian Choice Improvements faced the heftiest fine, paying $140,000. The company has now decided to cease all telemarketing efforts in the future. Le Groupe Hydro’s portion was $30,000 and it has agreed to institute a compliance program moving forward to ensure history does not repeat itself. Since the DNCL launched in 2008, nearly 13 million phone numbers have been added, with over $6.5 million in fines collected in violations to date. It doesn’t matter if the company itself or a third-party firm is making the calls on its behalf, or if the calls originate in Canada. The CRTC will continue to enhance its monitoring program and encourages consumers to report any nuisance calls they may receive. Government’s wireless promises fall short? You hear plenty of promises from our political leaders. Government reform, tax cuts, foreign policy and spending, the list goes on and on. But how often do you hear a political party pledge to tackle your growing mobile phone bill? In 2008, Canada’s Conservative government did just that. And now, in the midst of a federal election campaign, its failure to make real gains is drawing the ire of consumer advocacy groups. “The Conservative government’s plan to increase cellphone affordability has been half-measured and ineffective,” fired Steve Anderson, director of Open Media, in a recent Toronto Star story. Back in 2007, a study found that Canadians were pay a considerable amount for their cellphones – in a list of 30 members, the Great White North ranked fifth when it came to high rates. According to the Star, not much has changed. The average Canadian bill is $46.58, compared to Europe, where the bill is $20.59. Bank of America Merrill Lynch has pegged the Canadian carrier profit margin at 46 per cent. The Conservatives have pledged to continue their push for increased competition in the wireless sector. Only time will tell if they’ll be successful.